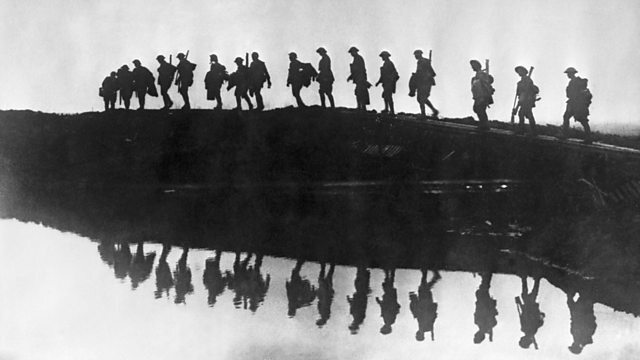 The Ballad of the Great War - 1915, featuring stories told by men and women who took part in the conflict. The stories are accompanied by original music composed for the programme. The Ballad of the Great War - 1915, featuring stories told by men and women who took part in the conflict both at home and abroad. The stories are accompanied by original music written especially for the programme and was inspired by the stories told. In this programme we hear about the Zeppelin air raids when, for the first time in modern warfare, towns and cities of mainland Britain were bombed, the disastrous Gallipoli campaign and we also hear the stories of two women who survived the attack on the ill fated liner Lusitania, sunk by a U-boat off Ireland in May 1915 with the loss of over 1000 passengers and crew. The songs for this programme are performed by John Tams, Martin Carthy, Chris While, Julie Matthews, Jez Lowe, Barbara Dickson and Heidi Talbot.